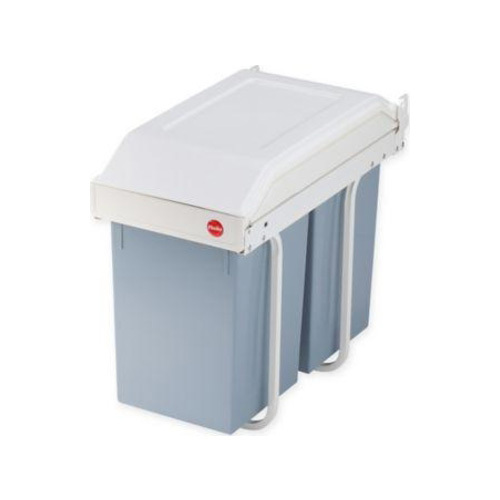 The built-in waste separation system – inconspicuous in position yet always ready to extend and fill. 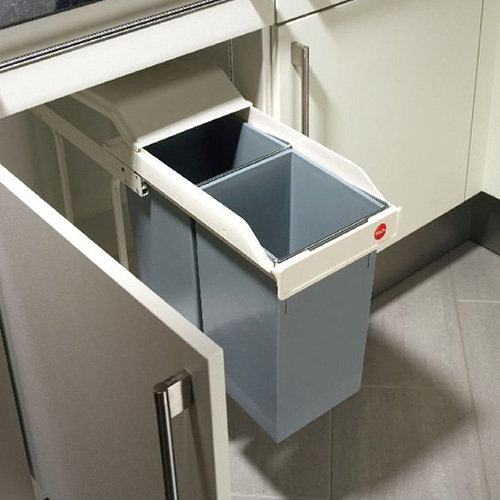 With 2 removable inner bins (2 x 15 l). If you have a fitted kitchen, you must make optimum use of the space available. Witness the Multi-Box 2x15. This can be used for low-level cupboards from as little as 30 cm wide. Simply assemble on the right, left or centrally as required. The two 15-litres inner bins sit in a rail to pull them out. 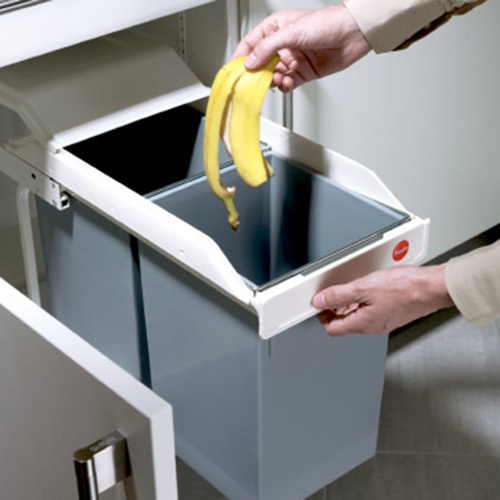 Waste on the move: easy filling and removal of the inner bins guaranteed. And so that nothing can slip, the bin liner can be fixed to the edge of the bin. 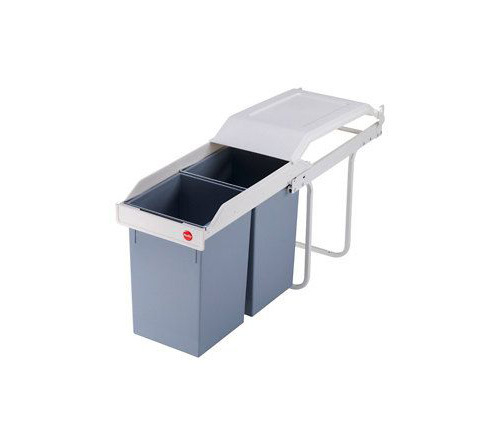 Multi-Box 2x15: the practical built-in waste separator.